A black pit bull, tail and tongue wagging, stands on the concrete floor of his kennel inside the stray area at Memphis Animal Services. He presses his wet nose to the chain-link fence of his cage as then-shelter director Matthew Pepper passes by, as if the dog is hoping that, maybe this time, he'll be set free. But on this morning in early August, freedom isn't in this dog's cards. And chances are, it never will be. The dog is one of hundreds — mostly pit bulls — deemed too aggressive or too sick to be adopted. The general public isn't allowed to choose pets from the stray area but is instead relegated to picking their dogs from an area of screened "adoptable" animals. When Pepper, who resigned in August, took on the position of Memphis Animal Services director more than a year and a half ago, he closed off the stray area to everyone except approved rescue groups and people searching for lost pets. The adoption area only holds about 30 dogs. That decision set off a war between a passionate animal advocacy community and Memphis Animal Services administration and staff. Before the stray area was closed, many in the advocacy community had high hopes for Pepper, who replaced director Ernest Alexander following a 2009 raid that resulted in Alexander's arrest on animal cruelty charges. But over the past year, Pepper and his staff had been living under a microscope as shelter critics dissected every move through webcam feeds posted on the city website. Pepper agreed that some of their complaints — accounting errors that led to misinformation on missing dogs and a high euthanasia rate — are valid. "We do have some issues, some things we need to work through. But a lot of the complaints being thrown around imply that we're doing something sinister and we're not," Pepper said in an interview in his office, just one week before announcing his resignation, citing a need for career stability. "When you're the animal shelter, you're already behind the eight-ball. In the animal welfare community, you already have the stigma of being the bad guy," Pepper continued. "It's difficult when you have to struggle with perception versus reality." And though some of the complaints may be based on perceptions, local animal advocates also take issue with real problems at Memphis Animal Services. 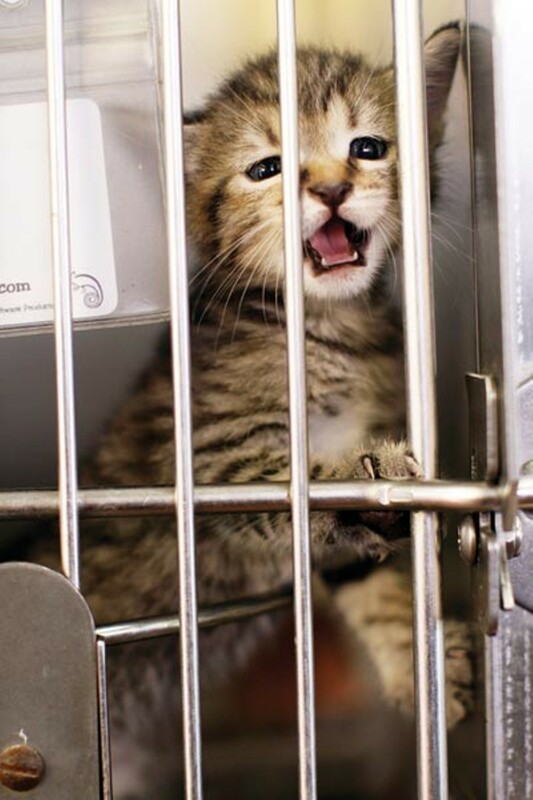 The shelter kills 75 percent of the animals that come through the door, and though that's a number typical for a large city shelter, it's not one animal lovers are willing to accept. Webcam screenshots of puppies being transported to the euthanasia room in a trash can and a dog being carried by its neck didn't help the shelter's already negative image. Additionally, the shelter's critics point to the June case of a pit bull that went missing in the care of former animal control officer Demetria Hogan to demonstrate a need for more accountability at the shelter. "Every single aspect of Memphis Animal Services needs accountability, everyone from the clerks to the kennel workers to the field staff, and they have none," said animal advocate Cindy Sanders. Two separate studies, one by the Memphis Rotary Club and one by the Humane Society of the United States (HSUS), are under way to determine how the shelter can improve. Pepper's last day was September 2nd, and the city is conducting a national search. Shelter operations manager Chelton Beamon is currently in charge, but he was unavailable for interviews for this story. 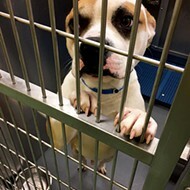 Later this month, the shelter will move into a new facility on Appling Cove, and the shelter's critics are skeptical over whether the coming changes will result in an improved Memphis Animal Services. "I'm concerned about who they'll choose next [as shelter director] because it seems like they never quite get the right person," said animal advocate Jackie Johns. "I don't think Matt was the right person for the job." Problems at Memphis Animal Services are nothing new. In the 1970s, animal advocate Beverly King discovered the shelter was euthanizing animals in a decompression chamber, in which animals were placed in cages that would spin around until the animals stopped breathing. She launched the Decent Death Committee and was able to secure legislation banning the chamber's use in Tennessee shelters. Today, animals are killed through the more humane lethal injection method. Around the same time, King also fought to end the shelter's practice of selling live animals to local colleges and labs for research purposes. More recently, the shelter has suffered from poor management and a higher-than-average euthanasia rate. In 2009, on Mayor A C Wharton's first day in office, the Shelby County Sheriff's Office raided the shelter and discovered sick and starving animals. Then-director Alexander and two other employees were arrested on animal cruelty charges. Enter Matthew Pepper, who took on the director position in March 2010 after managing a shelter in Shreveport, Louisiana. When he started the job here, the advocacy community had high hopes, and though Pepper believes he made plenty of improvements, his detractors say he didn't do enough. "I think there was a window when he could have fought," Sanders said. "When he first came in, Wharton was constantly singing his praises, and everyone believed he was hope. He could have taken a stand and made changes then." Pepper said that he has managed to lower the euthanasia rate from around 80 percent to 75 percent. "Our euthanasia rate is still too high, but it's the lowest it's been in five years, even though our intake is slightly up," Pepper said. "It might sound like a pretty insignificant change, but it's not really. 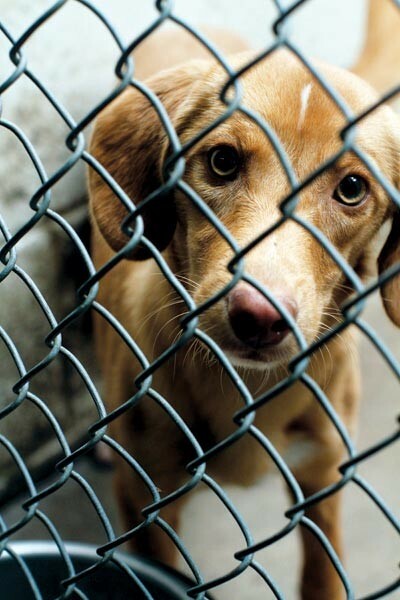 That was 1,349 fewer animals euthanized." The shelter takes in around 16,000 animals each year, and though most never see the light of day, Pepper claimed that he increased pet placements by 30 percent from the pre-raid numbers in 2009. "People assume we euthanize animals because we don't care about them, and that's not true. Everyone on our staff has to look into those [animals'] eyes," Pepper said. But despite the slight improvement in numbers, others argue that closing the stray area prevents the adoption of hundreds of dogs each year. "Pepper says those dogs are not good adoption candidates. It may be his opinion that there are only a couple dozen dogs worth adopting in his shelter of hundreds, but that may not be an adopter's opinion. An adopter may walk through the stray area and say, this is the dog I want. You don't know what an adopter is really looking for, so why not give these dogs a chance?" 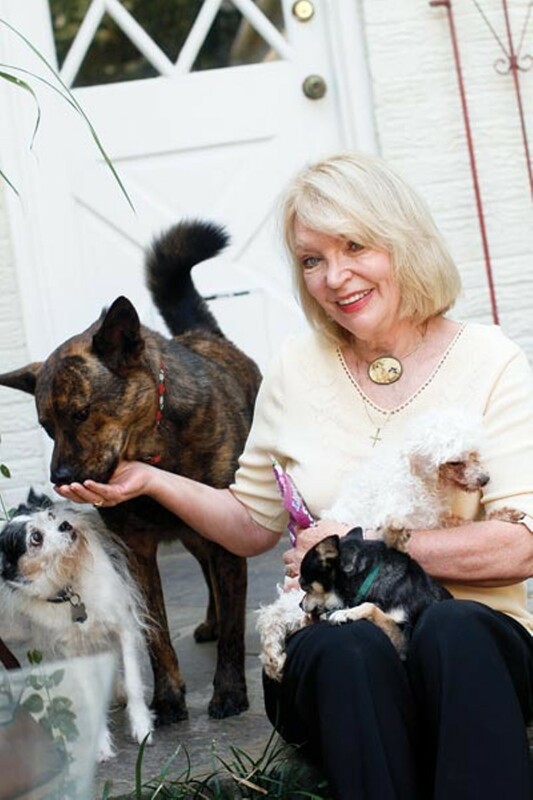 said Shirley Thistlethwaite, a South Carolina animal advocate who runs Yes Biscuit!, a blog that's been highly critical of Memphis Animal Services. Pepper said most of the dogs euthanized are aggressive, sick, or injured pit bulls from the closed-to-the-public stray area. But euthanasia records for June and July obtained by the Flyer show many other breeds, from beagles to labs, euthanized to make space. When pit bull Kapone went missing in June, another disturbing fact was brought to light. Memphis Animal Services originally reported 155 dogs had gone missing from the shelter's care in 2010 and 41 to date in 2011. But Pepper said those numbers aren't accurate and can be attributed to an accounting error. "Losing a dog on paper might as well be just as serious as losing one in real life, but they're two very different things," Pepper said. "Some of those dogs went into foster care, but they were still in our system as being in their cages. They got coded as missing when they weren't actually missing." The latest numbers at press time showed the 41 animals missing in 2011 had been reduced to 19 missing animals after paperwork errors were discovered. 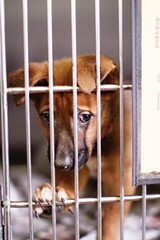 But such errors have led to even more distrust among the shelter's critics. "If your accounting is that bad, then I don't believe any of the numbers you're putting out there," Sanders said. "I don't believe your adoption numbers. I don't believe anything." In May, a screenshot posted on the Yes Biscuit! blog showing a litter of puppies being transported to the euthanasia room in a large plastic trash can ignited the rage of the shelter's critics. It was a fitting example of how webcams placed in various locations inside the shelter following the 2009 raid worked against the city's original thinking that creating transparency could boost the shelter's image. "We disciplined that employee, but people said those dogs must have been suffering," Pepper said. "That was a clean trash can, and somebody took four puppies in it instead of walking them all. It was a stupid decision, but the blog made it sound like he was throwing the puppies into a trash can filled with feces and waste." Supporters of the webcams believe they are necessary to create transparency, but Pepper said the webcams have backfired. The city has decided not to use the cameras inside the new shelter. "At the very least, what appears to be abuse and needless killing will continue without the public being able to see. It may worsen because employees will know that no one can see what they're doing," said Thistlethwaite, who has volunteers across the country helping her watch and capture screenshots to post online. Many of the screenshots posted on Thistlethwaite's blog show dogs being led to the euthanasia room with catch poles, long sticks with a noose-like curved end used to control aggressive animals. She said the shelter relies too heavily on these poles, using them on dogs that may not be dangerous. "They seem to use them on almost every dog they bring in. They can be used to control a dog in certain circumstances, but most dogs can walk on a leash," Thistlethwaite said. "The employees are often seen dragging dogs or hoisting dogs to upper-tiered cages using those poles." Pepper argues that advocates often don't understand what's happening on the webcams and wrongly make assumptions about alleged abuses. For example, some have complained of seeing shelter workers stabbing into cat cages with metal poles. On a recent tour of the shelter, Pepper demonstrated that the poles are actually used to close safety doors inside the cat cages when workers are cleaning the cages of feral cats that hiss and scratch. The cats are never touched with the poles, Pepper said. Other screenshots have shown workers cleaning cages by spraying water hoses directly into them without removing the animals. Online, Pepper said, it may look as though the animals are being hosed down too. But he claims workers try to aim hoses at kennels' concrete floors, rather than at the animals. "We're not spraying down the animals. That's perception versus reality," Pepper said. 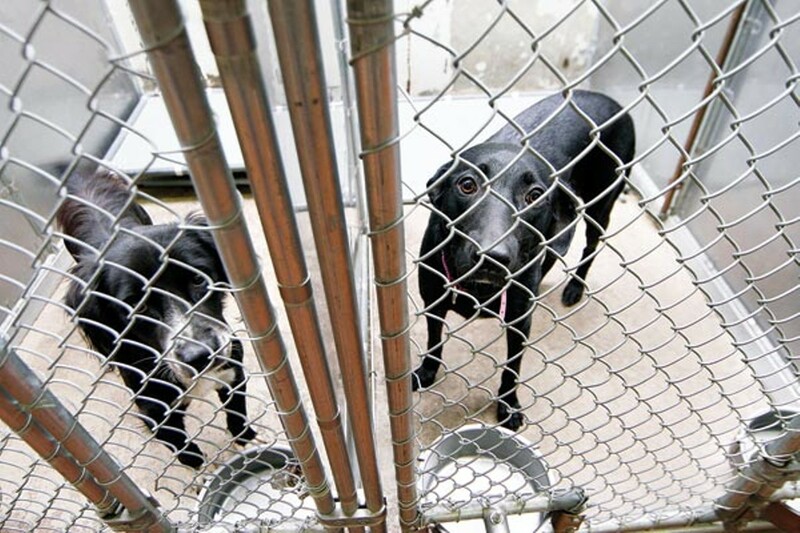 "We do leave the animals in their kennels while cleaning, and that's not best practice. But there's nowhere for us to put the animals [while we clean]. We hope the new facility gives us some opportunities to incorporate better practices." Stephen Tower, a local vet who chairs the Memphis Animal Shelter Advisory Board, agrees with the city's decision to remove the webcams. "It was the intention of the city to be transparent, but it's to a point where it's created a voyeuristic response from a group of animal lovers who crop photos and caption them so they can demonstrate how broken they think the shelter is," Tower said. "I would advise [the new director] to have an internal camera system that is observed continually," Tower said. "I think that system would have worked beautifully had we not gone online with it." Just last week, former animal control officer Demetria Hogan was charged with a third count of animal cruelty, stemming from the July heat-related death of an injured animal in her truck. Earlier this summer, Hogan was charged with two counts of cruelty following the disappearance of Kapone, an 11-year-old pit bull that had escaped from his owner's backyard. Hogan retrieved Kapone and Jersey, another pit bull belonging to Cordova woman Brooke Shoup, on June 24th, and although Jersey was delivered to the shelter, Kapone went missing before Hogan made it back to the facility. Advocates launched an aggressive campaign for Kapone's return with a reward of $8,000 for information, but he has never been found. "We're not just talking about one missing dog. Kapone is a poster child for what we have been fighting for over the years," said King, who has helped place banners and a billboard calling for Kapone's return. "We're fighting corruption at the Memphis animal shelter." Animal advocates have suggested that Memphis Animal Services install GPS tracking systems inside the trucks of its officers so their whereabouts can be tracked at all times. Advocates offered to pay for GPS units, but Pepper contended that such a system would cost more than was offered because the city would need networked computers inside the trucks. For several years, Sanders and Johns have been regularly attending Environmental Court hearings where animal control officers are required to show up to address tickets they have written for cruelty complaints and animal ordinance violations, such as failure to spay and neuter or failure to obtain rabies tags. They say officers are routinely late to court, and some fail to show up at all. On a recent court date in August, two officers were not present when Judge Larry Potter called their cases. When Potter called for one of the officer's cases, the prosecutor turned to the other officers who were present and asked, "Does he know he's supposed to show up when he writes tickets?" The officer walked in about 30 minutes later. On the same day, officer Kim Lockett showed up nearly an hour after her case, a cruelty investigation involving nine neglected dogs, had been called. Sanders and Johns regularly pull records pertaining to cases in Potter's court, and they said they've determined that some officers aren't writing tickets for cruelty cases but rather are only focusing on minor charges. "We've checked back on some of the cases and they're charging for license tags and spay/neuter, but they're not charging for neglect or cruelty," Sanders said. The two are also critical of the shelter's call-log, which at press time was roughly 1,200 calls behind. Pepper said calls are prioritized, which means bite cases and cruelty investigations are placed ahead of stray dog complaints. The Flyer's search of open call records, however, showed one bite case from March that wasn't addressed until June. "For a long time, we were very short-staffed, and we take in about 24,000 calls per year. At one point, there were simply more calls coming in than there were people to take them, and we were 6,000 calls behind. Right now, we're at 890," Pepper said in early August. "You could say, wow, you're almost 1,000 calls behind, or you could look at it as we're headed in the right direction." Even before Hogan's arrest, the shelter's critics complained the city wasn't doing enough to discipline wayward employees. But Pepper said, in his time as director, he has terminated five animal control officers and one technician. "People don't know we're [terminating people], because as a general rule, the city isn't going to say, well, look what we just did to this employee," Pepper said. "We have a very difficult job. There's a public that lives under one set of expectations and a staff that works under another." 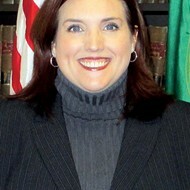 Hogan was hired through the city's Second Chance program, which places felons into the workplace. Pepper said he's not supportive of the program in the context of the animal shelter, but he claims the shelter still has one active employee from the program who "does his job very well." As a result of the Kapone situation, Tower said the Memphis Animal Advisory Board has suggested the city no longer hire new animal control officers from the Second Chance program. A New Day at the Shelter? With Pepper's resignation and an upcoming move to a new facility, some shelter critics say it's the perfect time to try something new. Thistlethwaite, a passionate advocate for no-kill shelters, would like to see Memphis move in that direction. "I would be the biggest champion of Memphis, and I would love nothing more than to use my blog to promote Memphis if they went from killing  percent of their pets to saving 90 percent or more." Thistlethwaite said. Many argue moving Memphis' shelter to a no-kill model would be impossible, but last year, a larger city shelter in Austin, Texas, did just that. Austin's shelter takes in more than 24,000 animals each year, compared to Memphis' 16,000 animals. By launching aggressive adoption campaigns, recruiting more volunteers to foster animals, and putting more money into low-cost spay/neuter programs, a nonprofit group called Austin Pets Alive was able to transition Austin's city shelter from euthanizing 80 percent of its animals to saving 90 percent, the standard for the no-kill model. Sick or vicious animals deemed not adoptable are still euthanized, but those numbers only account for 10 percent of Austin's intake. 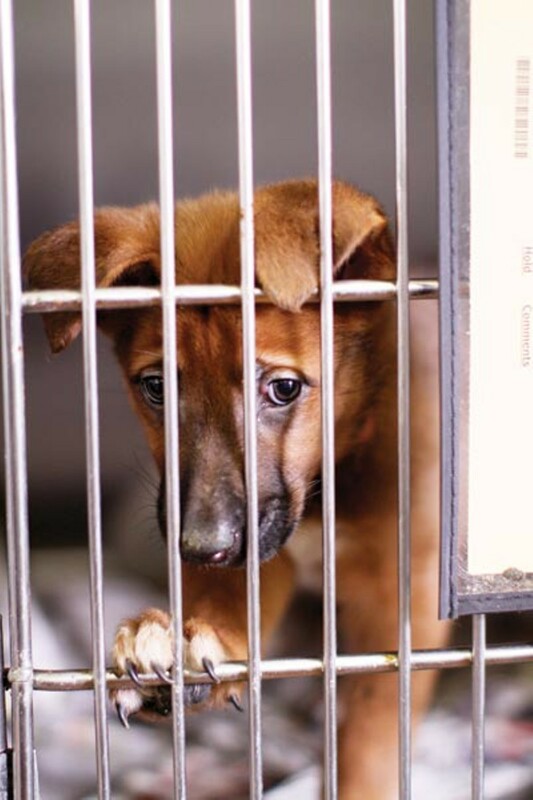 The key to turning around a shelter, said Gretchen Meyer with Austin Pets Alive, is marketing. "If you can tap into that with marketing, you can really get the community involved with helping, and you can do amazing things," said Meyer, whose group will begin hosting seminars in late September to teach other city shelters about the no-kill option. Scott Kramer, a local attorney who plans to seek the open shelter director position, also supports the no-kill model. "One of the biggest steps is a comprehensive adoption program, and one of the main things that must be done is making the shelter a place where people feel comfortable going. I've been to the animal shelter, and it's not a welcoming place," Kramer said. 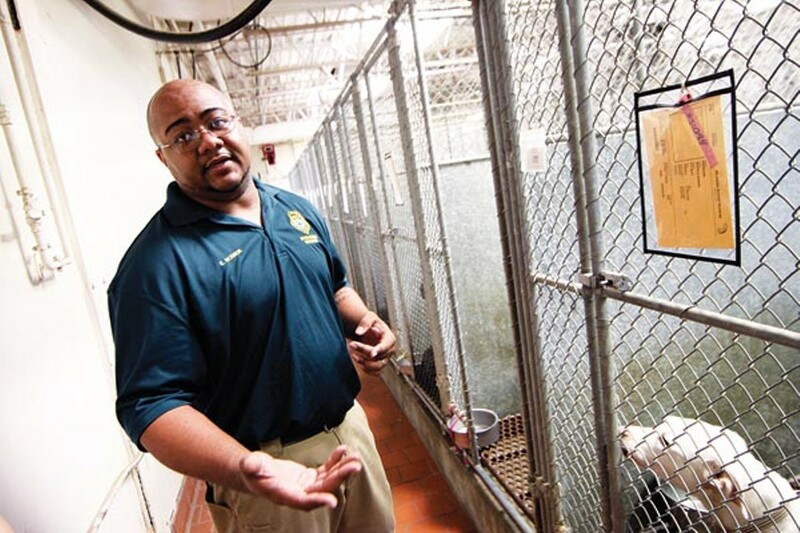 As a result of negative press on the shelter over the past few months, both the Memphis Rotary Club and HSUS offered to evaluate policies and procedures at the shelter to determine where improvements can be made. In addition to scrutinizing the shelter's day-to-day operations, the Rotary Club study is looking into the possibility of privatizing the city shelter. "I hope the shelter will be privatized, but the right group will have to take it over. I hope the Rotary Club can recommend some organizations," King said. "It just can't continue under the city's hand. We've had problems all these years, through several directors, and that's why we need to privatize." Although the city is considering the privatization option, city CAO George Little said they'll continue their search for a new director. "We're looking ahead with a national search for a permanent director while we're pursuing the exploration of some privatization," Little said. "We recognize there are some pros and cons to [hiring a director when privitization is being studied], but if we don't make an affirmative move towards permanent leadership, we could end up in a holding pattern [without a director] six months to a year from now. We're of the belief that we cannot afford that." Little said the new shelter facility will be overcrowded from day one when they make the move later this month, and he believes pet ownership training may be needed to control the pet overpopulation problem. "As important as it is to look into shelter operations, we need to address this deal with spaying and neutering and responsible pet ownership," Little said. "There's no such thing as a bad pet, but there are bad pet owners who don't take care of their animals or give them minimal training. We have to address these issues as part of the evaluations under way." In the end, it would seem that all involved agree changes are needed at Memphis Animal Services. Whether longtime critics and the city administration will ever make amends remains to be seen, but Pepper contends that, at end of the day, the shelter's critics and shelter employees want the same thing for the animals. "Nobody goes to bed at night thinking, I hope we can kill as many animals as possible," Pepper said. "We all want the same things."